Questions about Kichler Lighting 300106BAP? 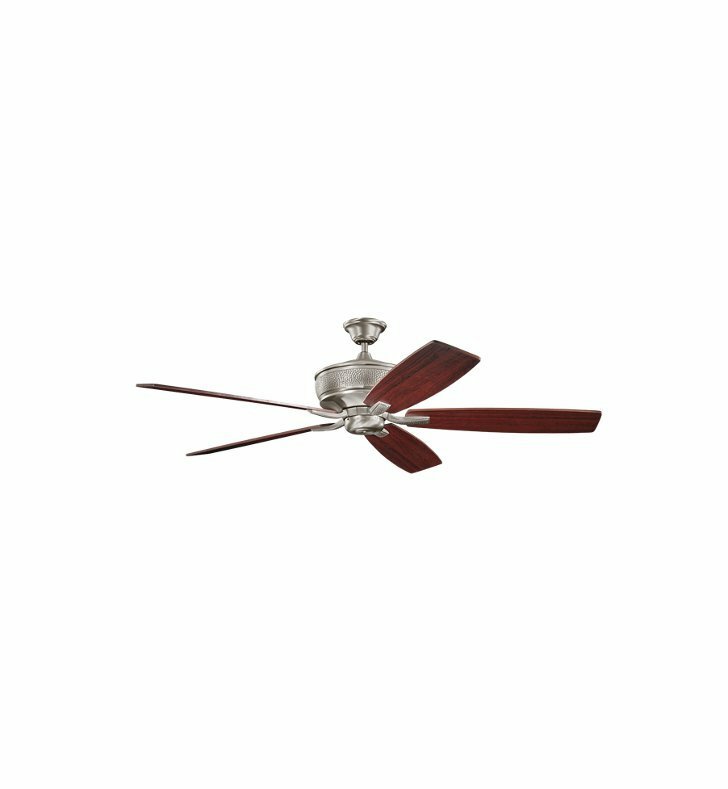 With an Burnished Antique Pewter finish, this fan is a wonderful addition to the Kichler Monarch Collection. The 5, 70" blades are pitched 14 degrees and are reversible with Cherry finishes.